Red Headed Femme: First Impression: Star Trek: Discovery S2 Ep 9. 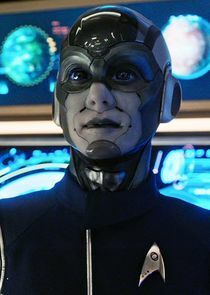 "Project Daedalus"
First Impression: Star Trek: Discovery S2 Ep 9. "Project Daedalus"
I have mixed feelings about this episode. There are many good things about it (characterizations and direction) as well as some not-so-good things (plot and the overall Big Bad). But the worst thing is the one I saw from the opening scene. That is, we wouldn't be beginning an episode showing the viewpoint of an interesting but criminally underused character if we weren't going to bump her off. Look, Star Trek has always had a "redshirt" problem. That is, a seemingly endless array of expendable characters who are there only to be slain by (in the case of the Original Series) the Monster of the Week. (Since we can't realistically--not from a story POV, but a television industry POV--kill off William Shatner or Patrick Stewart, after all.) In some ways, this trope was better in TOS: whenever a strange new redshirted person appeared, the viewer knew that's what they were there for, and thus didn't have to bother caring about them other than a certain detached curiosity as to how they would be offed. 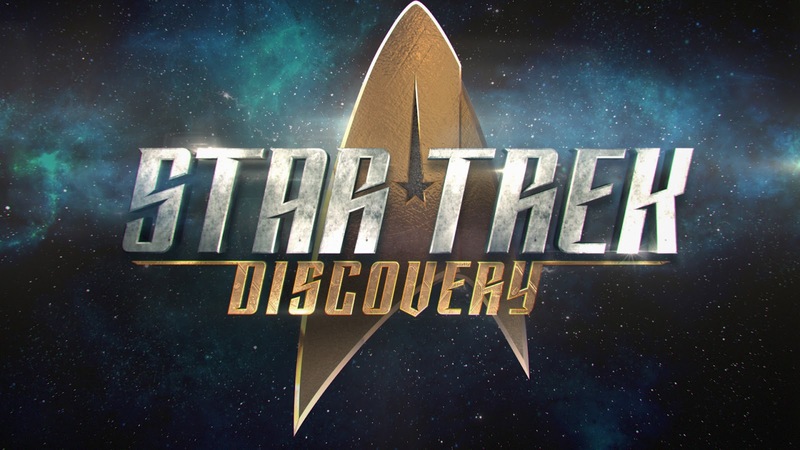 But Discovery had made some (admittedly minimal) efforts to flesh out the bridge crew this season, which I heartily approved of. This shouldn't, and doesn't have to be, the Michael Burnham Guilt-Me Show. (Referring to Burnham's biggest flaw, which was brought painfully to the forefront during a beautifully acted scene in this episode, between Sonequa Martin-Green and Ethan Peck.) We have some wonderful characters here, and excellent actors, and they deserve a chance to shine, dammit. Just look at what they've done with Anson Mount's Christopher Pike this season. I would happily follow him, Spock, and Number One (another highly touted but underused character) into either a mini-series or a spinoff. Even with what little we've seen of the bridge crew, these are interesting individuals who could power compelling stories, and it's goddamned frustrating that the powers-that-be don't seem to realize that. A single scene per episode, spotlighting a different crewmember in a round-robin sequence, would have sufficed. Instead, we get Lieutenant Commander Airiam's fascinating backstory, and snippets of her friendship with Sylvia Tilly, pilot Kayla Detmer, and tactical ops officer Rhys--only to end in Airiam's well-acted, moving, and infuriating Noble Sacrifice. It is beautifully shot, I will grant you. Jonathan Frakes directed "Project Daedalus," and it's abundantly clear that he is the best Star Trek director (even if he is fond of long, swooping, upside-down, slightly nauseating pan shots, like the one at the beginning of this episode). The pacing is spot on, the action explosive, and he gets a bravura performance out of Sonequa Martin-Green--the anguish on her face in her final scene with Airiam is palpable. And the episode's ending, with Airiam replaying her favorite memory as her cybernetic systems fail in the unforgiving vacuum of space, is enough to bring tears to a lot of viewers' eyes. I just wish we had seen all this stuff, and all these relationships had been established, before this character's death. So that's my first and foremost objection to this. The second is the direction the plot reveals are apparently taking us. The AI-gone-rogue is a time-honored Star Trek tradition (and a particularly TOS tradition, as it sometimes seemed like James Kirk spent half his time talking killer robots into destroying themselves), so it's not the idea in and of itself, it's what is done with it. What complicates this is that it's Section 31's AI gone rogue. Which would not matter so much if there wasn't going to be an entire upcoming series exploring Section 31 (along with Michelle Yeoh's badassery). So, unfortunately, I think the showrunners are going to pull their punches with this entire storyline, because they have to worry about the other series. This is evident in the dragging in of whatever-the-hell the Red Angel is, which at the ending of this episode seems to have something to do with Michael Burnham's dead parents (and which will play right into her "everything is my fault" complex, even after Spock beautifully deconstructed it in this very episode). Having said all that, there are some very good things about this episode, and the pitch-perfect characterization is at the forefront. In particular, Saru seems to be back on track, with the addition of some extra confidence and forcefulness after the loss of his threat ganglia. The scene between Spock and Stamets was also noteworthy, as Spock boiled down Hugh Culber's trauma to just a few well-written and delivered lines. 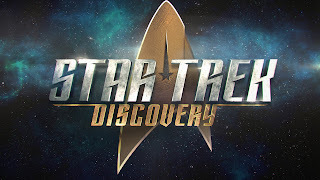 I find it very interesting that the writer of this episode is Michelle Paradise, who was just announced as the co-showrunner of Discovery's third season. If they can marry her command of the characters to some better plotting, we could have a really breakout third season. This one (with some nagging weak points) is certainly better than the first, but I think the show still has a way to go.